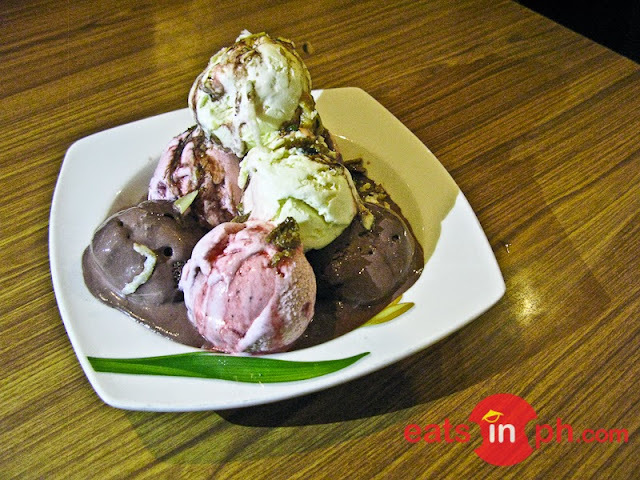 Composed of seven scoops of different ice cream flavors, it was arranged like the majestic Mayon Volcano. It has chili, vanilla and chocolate ice cream sprinkled with pili nuts and bits of chilis, and then drizzled with chocolate syrup and strawberry syrup (also with chilis). A "HOT" dessert to cap your Small Talk Cafe dining experience!